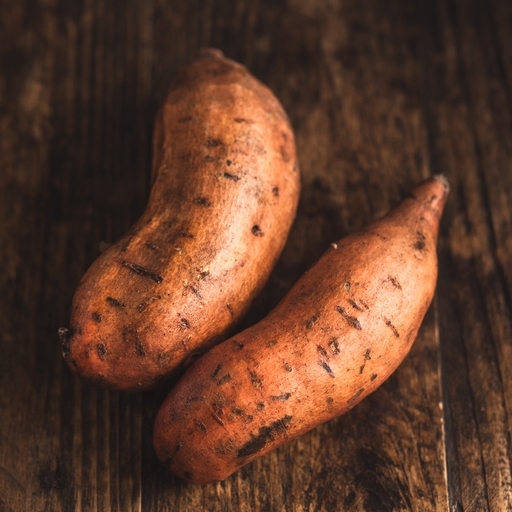 Comforting, vibrant and versatile, you can’t go wrong with sweet potatoes. Their rich, creamy sweetness works beautifully with fresh, zingy flavours – try garlic, lime, herbs or ginger. No need to peel these organic beauties for roasting; the skins are fine to eat and full of goodness. They’ll cook a little faster than a conventional spud, so they’re ideal for weeknight dinners. Use to make sweet potato hash or mash. Bake whole like a standard spud. Slice into wedges or chips, roast with a drizzle of oil and a sprinkle of paprika and eat with good mayonnaise on the side for dipping. Delivered from our farm, so wash before cooking. Store on a cool vegetable rack. Grown in Spain and United States.